Breaks, Sprains, or Fractures: What’s the Difference? Imagine you’re running when you stumble over a large crack in the pavement. You feel a sudden, sharp pain in your foot. Whenever you try to move your lower limb, it hurts, and you have to limp to keep walking. What did you injure—a bone, or the supporting connective tissues? When a problem occurs inside your body, out of sight, it can be hard to tell exactly what it is. Symptoms like these can be indicative of several different foot and ankle injuries, including a broken bone or a sprain. Although broken bones and sprains affect different structures within the lower limb, it can be hard for you to tell which injury has taken place until you have it diagnosed by a doctor, like those here at Dallas Podiatry Works. Both kinds of damage can be extremely painful. The discomfort is immediate and can make it very difficult, and sometimes impossible, to put weight on the affected foot, depending on the severity of the problem. The injured area swells and often bruises. Both conditions can result in chronic pain and weakness, as well as lead to additional injuries, if they are not addressed and remedied. How your foot is treated does depend both on the specific diagnosis and the severity of the damage. The professional staff of Dallas Podiatry Works will evaluate your foot with tests and diagnostic images to get a clear picture of what structures are injured. Once Dr. Joel W. Brook, Dr. David R. Northcutt, Dr. Irene Arroyo and Dr. John Baca know whether you have a fracture or a sprain, they can move forward with accurate treatment. Both conditions can usually be treated conservatively. A sprain will need to have the irritation and swelling decreased. This means resting and icing the affected area. You may need to have your foot immobilized in a wrap or brace to keep from stressing the injured ligaments. 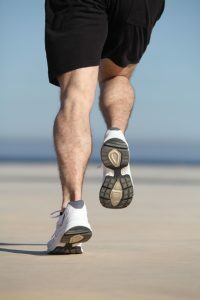 More serious sprains may require a no weight-bearing period to allow the connective tissues to recover. A broken bone will need a period of time in a cast or special boot to hold it still so the body can repair the crack. Usually this means no weight on the foot until the break has healed. Ruptured ligaments or displaced broken bones may need surgery to repair the damage. Neither will heal correctly on its own unless the ends of the torn or misaligned tissues are brought back together. The edges must be surgically realigned—and sometimes pinned in place—for them to reattach. How your foot and ankle injuries are treated depends largely on an accurate diagnosis of the damage. If you have hurt your lower limb in any way and are concerned you may have a fracture or a sprain, seek help by contacting Dallas Podiatry Works for an appointment or more information. Visit the online contact page, or call us at either of our two office locations: (972) 566-7474 for the Dallas office, or (972) 943-3323 for the Plano location.